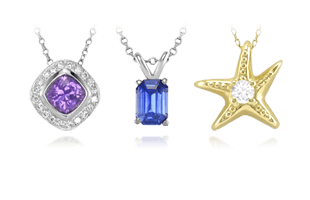 The hardness of a gemstone reveals a lot of information about the durability and longevity of a stone. 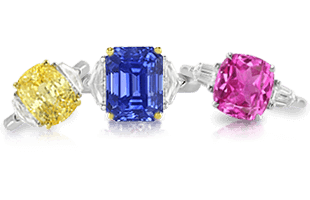 The Mohs Scale gives the relative differences in the hardness of gemstones. Each mineral can scratch the ones below it on the scale. It is important to remember that the steps in the Mohs Scale do not represent uniform increases in hardness. 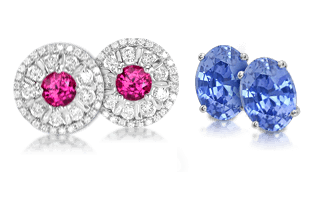 In absolute terms, diamond is almost four times harder than corundum, which is just below it on the scale. 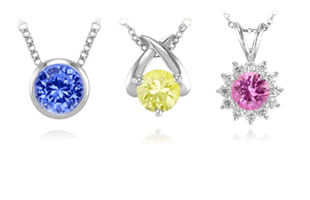 Experts recommend that gemstones subject to the stress of everyday wear should be at least a 7 on the Mohs Scale. 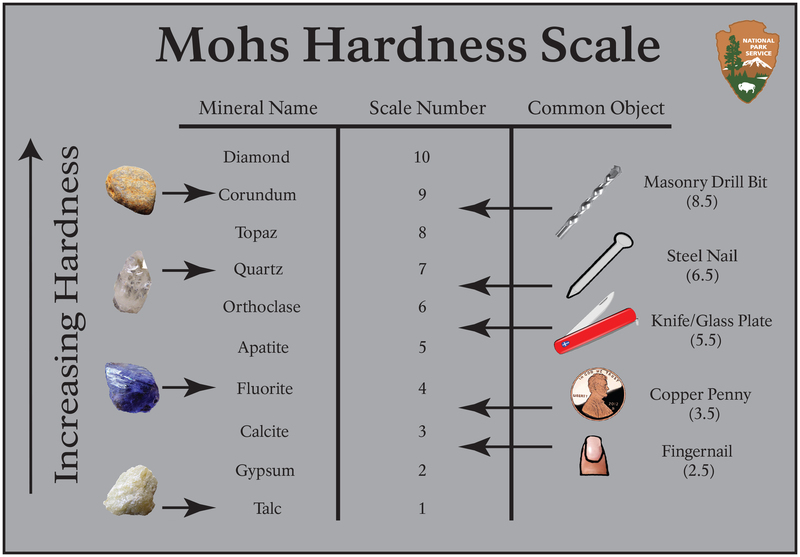 A chart showing comparisons for the Mohs hardness scale. Created in 1812 by German mineralogist and geologist Friedrich Mohs, the qualitative scale became indispensable for geologists, millers, and miners out in the fields. Kits were established that had a sampling of each mineral on the scale as well as other items pertinent to determining a specimen’s hardness. 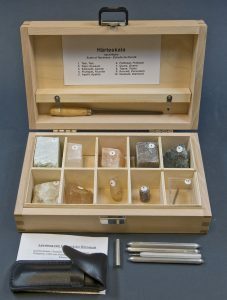 A Mohs field kit with a sampling of each of the ten minerals on the scale. A specimen’s place on the scale would be determined by using the piece to scratch the known mineral samples. This is done until one finds the hardest material that the specimen can leave a visible scratch upon, or the softest material that can leave a scratch on the specimen. This was an incredibly helpful process and tool when trying to determine the location of certain mineral deposits, especially as it came to towns setting up mills for water sources. To learn even more about topics related to stones and settings, head over to Additional Settings Information | More Details on Settings.